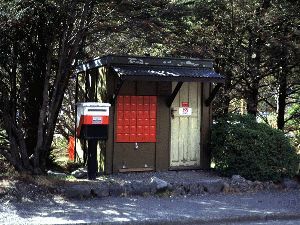 This Post Office only accepts pre-stamped letters/post cards & small parcels for outgoing mail in the red/white post box. Postage stamps and small parcel bags are available from "The Store" across the road. The Arthur's Pass Visitor Centre sells stamps.